You feel out of control around food; you nibble, eat without being hungry or binge. You are always on or off diets, but nothing works for long. Eating rules your life; at times whatever you eat, it’s never enough. You think about food and worry about eating a great deal. You eat sensibly in public but on your own it goes out of control. You eat a lot in secret. You may promise to stop compulsive eating, but it somehow doesn’t happen. You think that if people knew how you eat they wouldn’t want to know you. Food feels like a friend and an enemy at the same time, your cravings feel like an addiction where certain foods are concerned. You have mood swings, often for no reason; you feel depressed, alone and in despair. You wish you could just take food or leave it but it’s never enough. Compulsive eating and binge eating can have serious health effects. The main outcomes include: Tiredness & lack of energy, diabetes or insulin resistance, poor thyroid function and more. 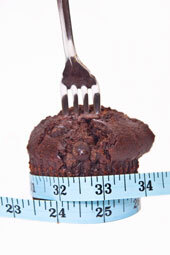 Binge eating and compulsive eating does not go away without treatment or weight loss. Even after many years, recovery is possible with the right support. We can help. We aim to transform your relationship with food and re-awaken your willpower from within. Its not just about food, you may need emotional strengthening, raising self worth and finding better ways of feeling in control. You start with a full assessment to help build a treatment plan that is right for you. Gaining insight about compulsive overeating and food cravings; discovering what in your past has led to you developing it in the first place. Boosting your motivation to change. We know that food feels like your only friend and you will worry about missing your favourite foods. This doesn’t happen. Managing stress and unhappiness without turning to food, or to binge foods. Managing constant thoughts and worries about food and weight. Managing lapses so that you keep feeling in control. NCFED counsellors are certified eating disorder experts; you can trust them to support your recovery from compulsive eating with compassion and wisdom in the journey of change. We understand binge and compulsive overeating, why it is so hard to change, and how it affects your life. Would you like to know HOW you developed your eating problem and WHAT can be done? Have a no obligation assessment (only £55) in person, by phone or by Skype with someone who cares. The first step starts here.